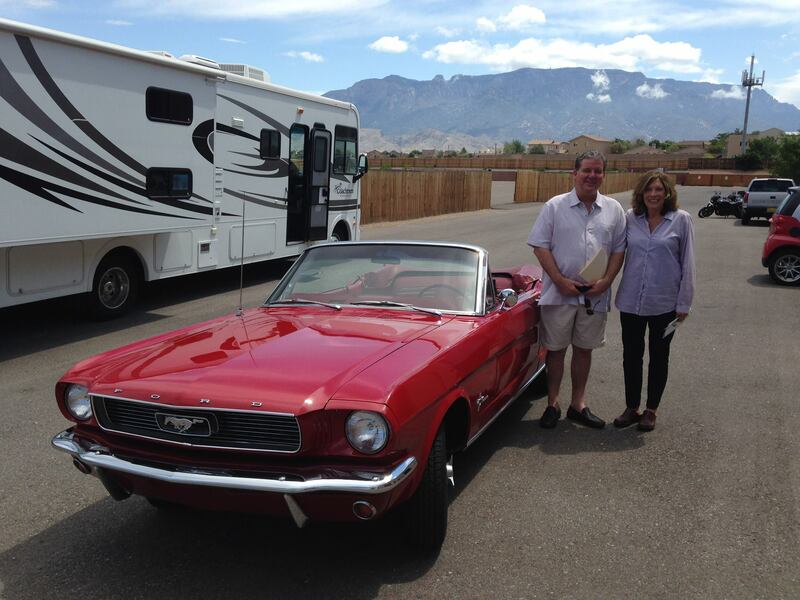 A generous donor recently donated this 1966 Ford Mustang to the Albuquerque Community Foundation to establish an Agency Endowment Fund for Pennies for the Homeless. The new owner (from San Francisco) took delivery today. He will be driving his new convertible back via the Grand Canyon and Sedona. Now he has a great car and Pennies has an endowed fund that will benefit their cause, FOREVER. For more information on this story, contact Kelli Cooper at the Albuquerque Community Foundation, 505.883.6240.